H: 30 in. x W: 18 in. x D: 14 in. 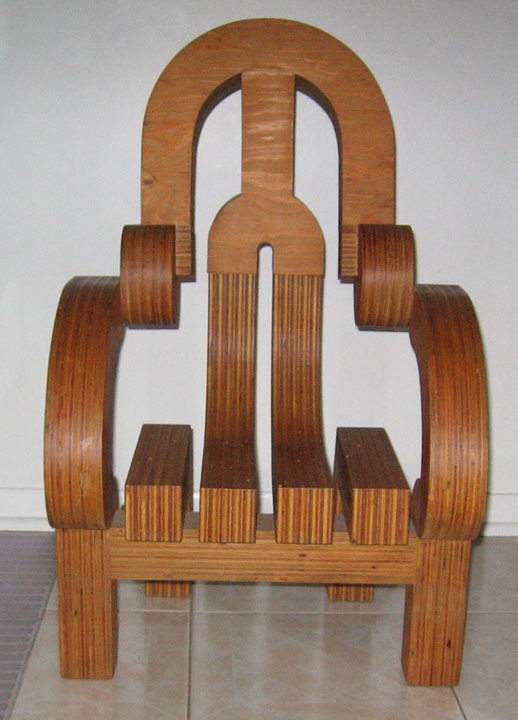 A maquette-sized work, styled after Three Chairs for Queens College and built as a gift for the artist’s niece, Ashley SooHoo, on her third birthday.